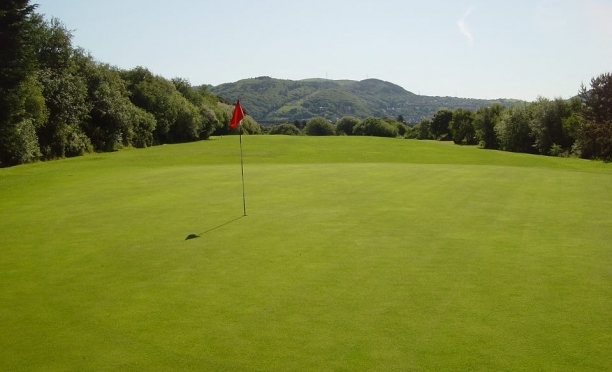 Taking the British Junior Golf Tour to Wales, to the beautiful Swansea Bay GC, a course that is half links and half parkland, for our first affiliated event. Please ensure that you check the link again prior to the event on Sunday 21st April, as there may be updates to the start sheets. Please note, 9-10, 7-8 and 6/under players will be playing 12 holes. We highly recommend that you read our Tour Policy. Speed of play will be vital, please make sure that you are ready to play when it is your turn, hole out where possible and walk quickly between holes. Please make sure that you are keeping up with the group in front; if you fall behind, call the group behind you through, at the earliest possible time. Unless there is a mitigating circumstance, i.e. a ruling is required (in which case the group behind should be called through), slow play will be monitored and penalised in the usual way. If a group does not finish with 15 minutes of the group in front, a penalty of 2 strokes will be added to all players in the group. This should be done on your scorecard as normal, but please do not sign your card until a member of the BJGT team at the scoring desk has gone through it with you and your playing partners. Players are permitted one caddie to assist them on the course; they are there to help with pace of play by carrying the bag, handing clubs and raking bunkers, etc. A caddie will be wearing a caddie bib collected from the BJGT team at the start of the day, and they will need to return their caddie bib at the end of play. Over-coaching is not permitted, lining up is not permitted (rule 10.2b, see below) and NO assistance may be given on the green. Caddies are to stay off the greens at all times. Please make sure that you familiarise yourselves with the 2019 R&A rule changes, as the BJGT is going to be implementing these new rules in all categories. It is a player’s and caddie’s responsibility to learn the rules of golf, and penalties will be applied if rules are broken. Caddies may help tee the ball up when playing from the tee, although lining up is not permitted (rule 10.2b, as above). Caddies may mark their player’s ball on the green and attend flags; it is hoped that players will learn these skills as they play on the Tour. All players are required to present themselves at the scoring desk following their round. Failing to do so will result in disqualification. Please do not sign your card until you are at the scoring desk and have agreed scores with the official; we don’t want anyone signing for an incorrect score, so we will make sure that the computer agrees with your adding up. This will take place in the clubhouse following the conclusion of play in each category and it would be much appreciated if everyone can stay to show their support.